Item support is a service provided by many authors on ThemeForest and CodeCanyon. Having support for your purchased item means that the author will be available to you, the buyer, to iron out any potential issues buyers have in using the item. 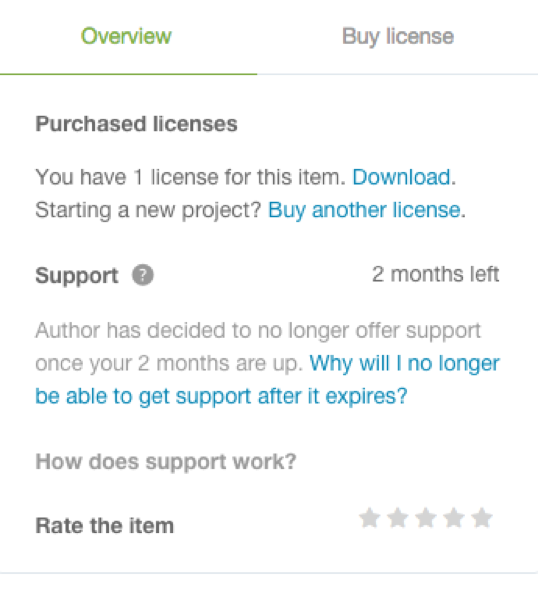 To be eligible to extend or renew support you must have less than 6 months of support remaining and the author must still be supporting the item. You will then be able to purchase a support extension or renewal from the Downloads or Item page. 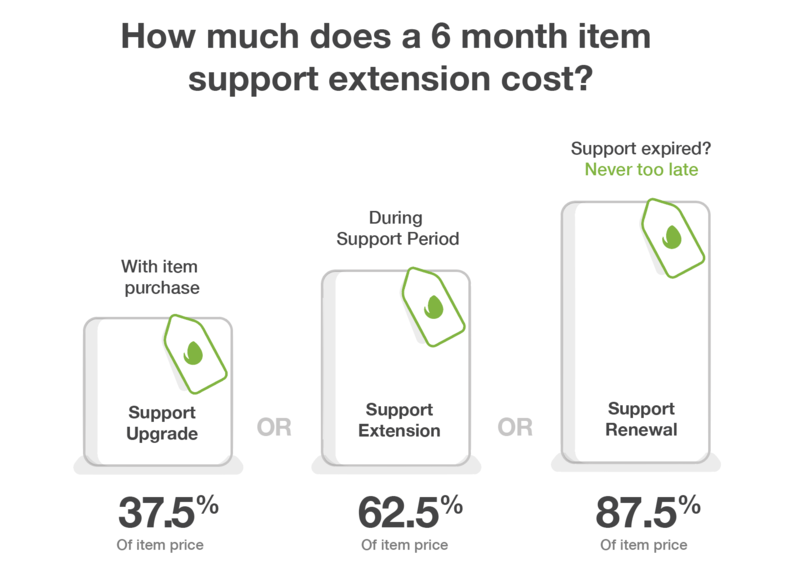 The cost of support is determined by the type of support and is calculated as a percentage of the item price (the price paid to the author for the item license).